Sometimes the best positive stories of the environment come from our own backyard. When you sum up the effects of millions of backyard naturalists, the positive impact is significant for the planet. The personal story I am sharing here will hopefully inspire, enlighten and encourage the development of even more backyard biophiliacs. Last March, several trees were downed in my front yard by a heavy ice storm. Many other trees had significant loss of limbs. The clean up required a professional. Fortunately I am childhood friends with someone who married a certified arborist. He gave me a few options, when possible. One of the options was to either dig up and grind stumps for some pine trees that did not fully erupt from the Earth or to just saw them at the bottom and let them sink back into the Earth as much as possible. Two factors influenced my choice: the price to my wallet to dig and grind the stumps versus the price to the environment to dig and grind the stumps. The price for both was pretty steep. Conventional wisdom always chooses to make our lawns “pretty,” often with little regard to the effects of fertilizers, insecticides, pesticides and selection of native plant species instead of ornamental non-native plants. Non-native plants often compete with native plants and rob wildlife of hosting sights and food resources which can only be provided by native plants. Also, one man’s yard trash can be a critter’s mansion. With that in mind, I opted to keep the stumps. 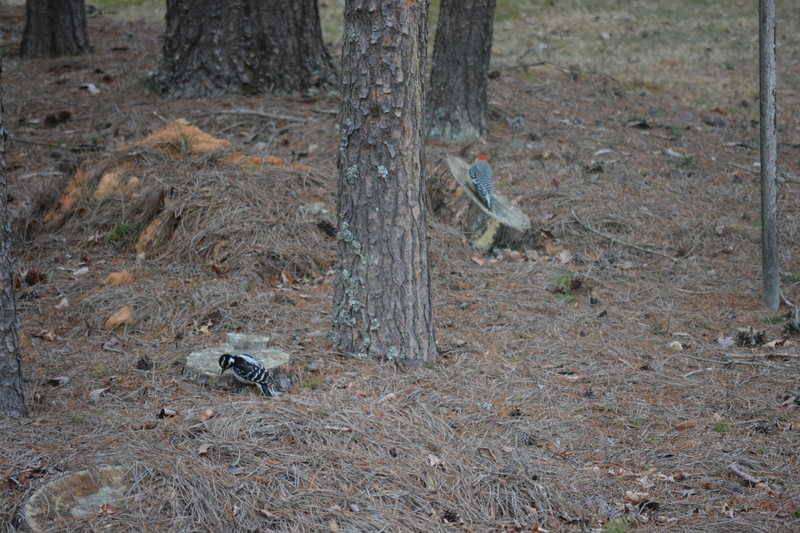 I can see the grove of pine trees from my home office window and enjoy watching a great variety of wildlife supporting their lives there on a daily basis. 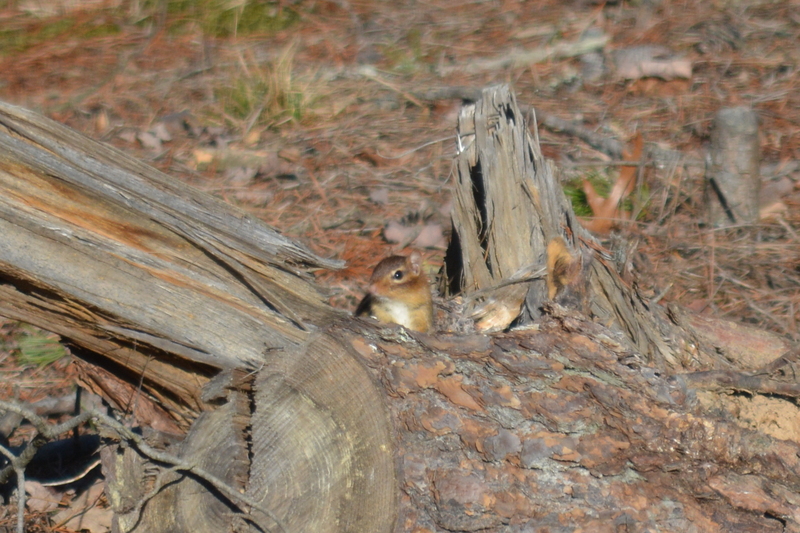 Last week, I had the joy of watching a chipmunk sunning himself on one of the stumps. Chipmunks hibernate and the cutie had emerged from the den beneath the stump on an unseasonably warm day. Smart rodent. Wildlife habitat was not my only motivation for keeping the stumps. If you recall the biology of photosynthesis, you know that plants absorb energy from the sun and carbon dioxide from the air around them to fuel themselves. Plants store the carbon that is obtained from the break down of the carbon dioxide molecule and, in most cases, release the oxygen back into the air. Those of you with lungs probably already understand how vitally important oxygen is to all non-plant life. Graphic from the creative commons. When vegetation, large or small, dead or alive is made into smaller pieces through chopping, grinding, sawing, mulching or most any other type of processing, it immediately releases a large amount of carbon. Of course, vegetation naturally rots and releases carbon but much more slowly. If you consider that deforestation is occurring on a global scale, thereby decreasing the amount of trees producing oxygen, and couple that with net carbon release because of these activities, it is clearly not a sustainable practice that will support a well-oxygenated planet. When you understand this, you never look at a stump, downed tree, logging operation or old wooden furniture in the same way. In my mind, all these kinds of items have a large invisible label that reads CARBON STORAGE (open with care). Eastern bluebird fledgling just moments after leaving the nest, perched on stump about 30 feet from bluebird nesting box. How can you help? Keep that old adage “think globally, act locally” in mind when you engage in lawn and gardening activities. Piles of limbs, old logs, even leaf litter can be used by many animals for many purposes. For more tips on how to make your lawn and garden friendly to wildlife, check out tips at the National Wildife Federation’s website. 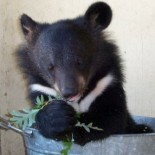 This entry was posted on February 17, 2015 by Maymie Higgins in The Ecotone Exchange, Wildlife.